Open 11am-2, 4-11pm (LO) daily. The specialty of the house at this unpretentious little izakaya is Tamba-jidori, a tasty heirloom-breed chicken from north of Kobe, and it's served here in several styles - charcoal-grilled, deep-fried, and raw or lightly seared as chicken sashimi. 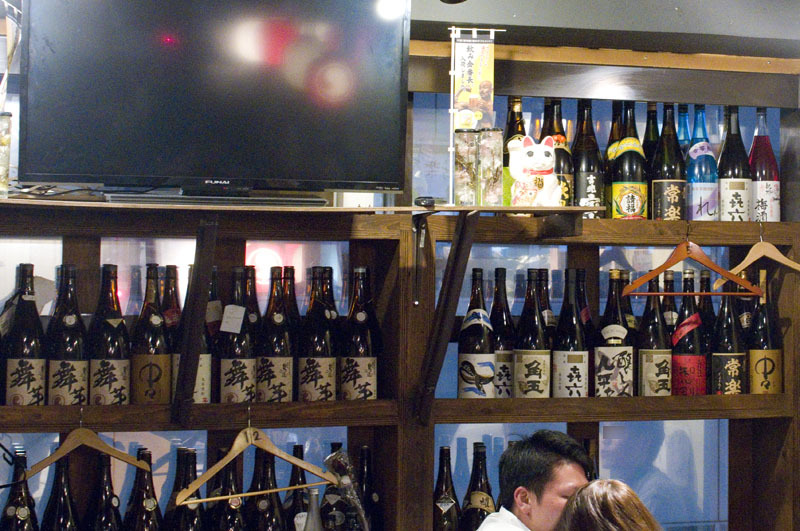 You'll also find some unusual and creative side dishes, and a small but well-chosen list of seasonal craft sake. The excellent charcoal-grilled chicken is served in small chunk-size pieces on a platter (rather than on skewers), with your choice of thigh meat, neck meat, chicken skin or giblets. 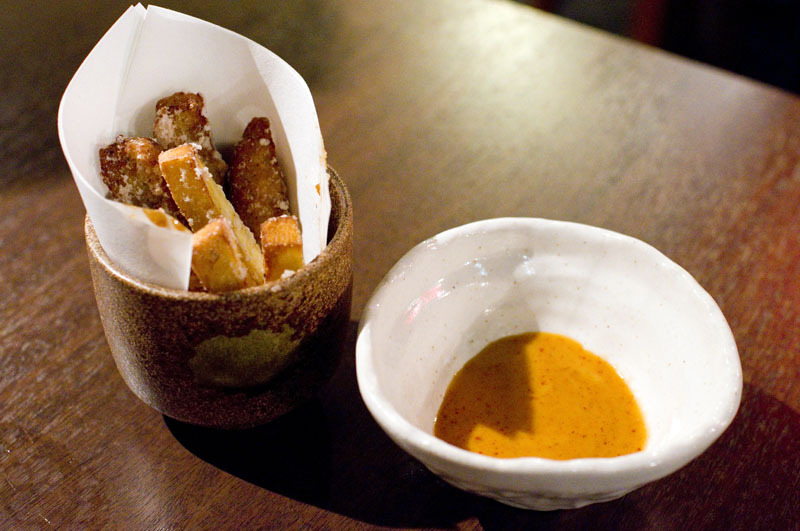 Yuzu-kosho, spicy miso, and not-so-spicy miso come on the side. Other chicken options include deep-fried chicken tail and chicken neck, chicken thighs grilled with garlic, chicken stir-fried with bean sprouts, and fried chicken wings. One of the more quirky options is "stick tsukune" - crunchy cylinder-shaped chicken meatballs served with a spicy mayonnaise dressing. 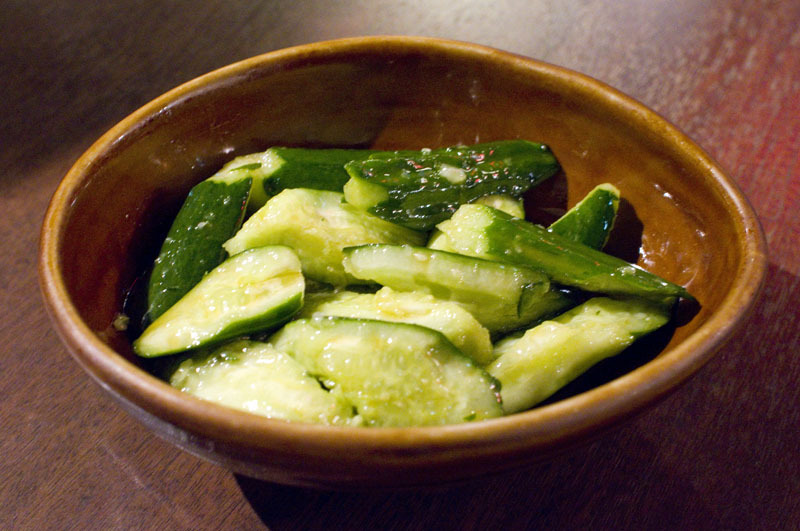 The kitchen also gets high marks for the simple but well-executed side dishes such as their deep-fried lotus-root chips and the pleasantly crunchy, rather garlicky pickled cucumbers. Sweet-potato ice cream and chocolate fondant are among the dessert options, and drinks include fresh-squeezed yuzu cocktails and soft drinks along with a few seasonal sake and shochu. 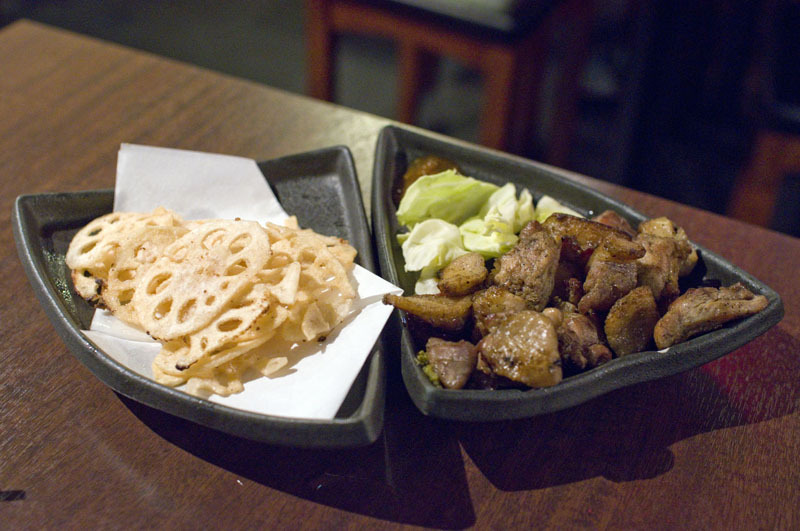 Although it's technically part of an Osaka-based chain, this branch offers a number of their own special dishes. You can place your orders on a tablet menu, and there's a separate English-language paper menu if you need one. Although it's only a few minutes from the west exit of Shinjuku station, the shop is hidden away on a side street just behind Halc Department store. Budget around Y2500-4000 for food and drink; they also have a reasonably priced lunch service. Shinjuku-ku, Nishi-Shinjuku 1-4-7, Takano Bldg 3F.